It's important to Native adoptees that the history of the Indian Child Welfare Act of 1978 be placed in the forefront in this case headed to the Supreme Court. It is more than relevant. It is necessary. 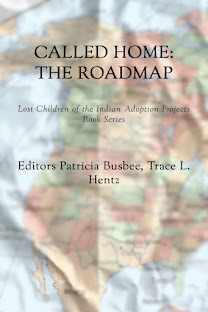 A quote from this brief states ..."The case for the ICWA's application here, where the biological father, a member of the Cherokee Nation, wishes to raise his child as a member of the nation, is even stronger." I spoke with a reporter at NBC News a month ago, and telling him about my own adoption, how my father Earl would have kept me and raised me. The reporter at NBC said I am like an early Baby Veronica case. 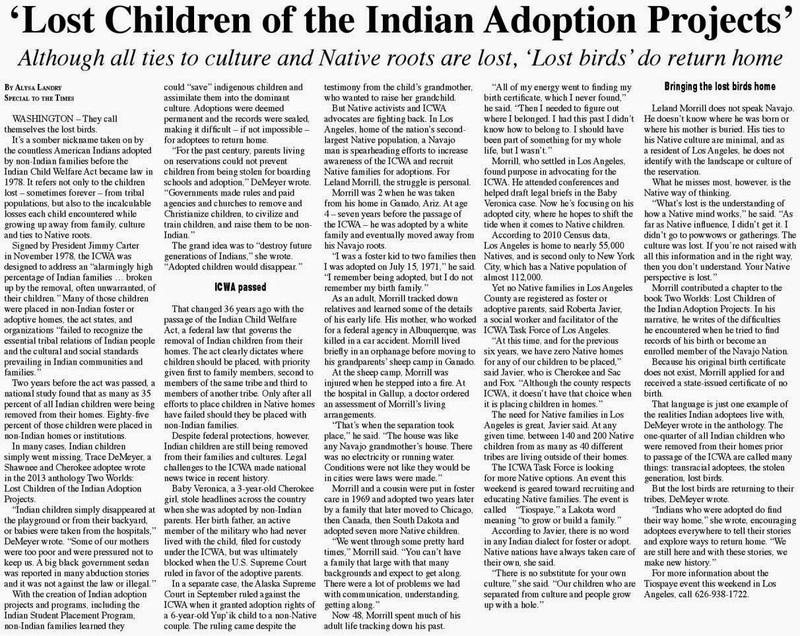 Yes, but I was adopted before the Indian Child Welfare Act of 1978 as many Native adoptees were. Federal law did not protect me or my father's rights back in the 1950s. 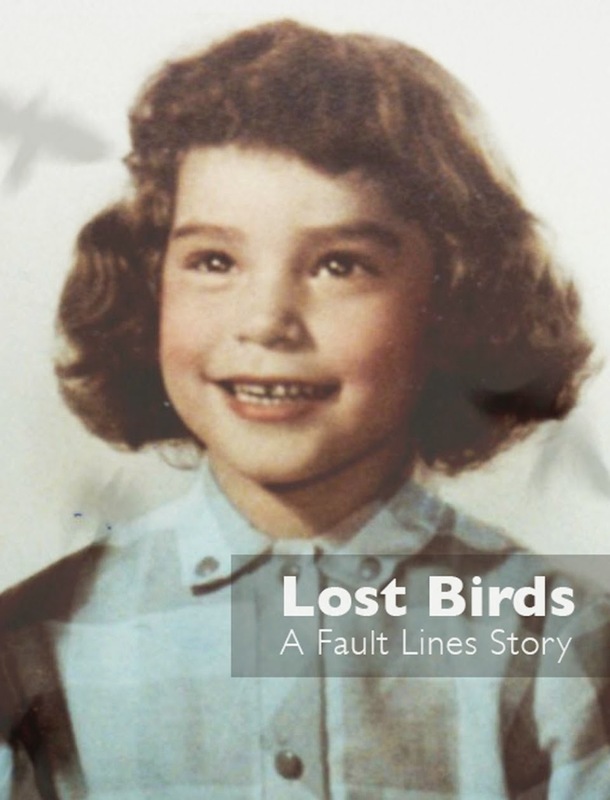 The social workers did not contact my father before I was placed in a stranger adoption. Therefore I lost contact with my relatives and my culture. 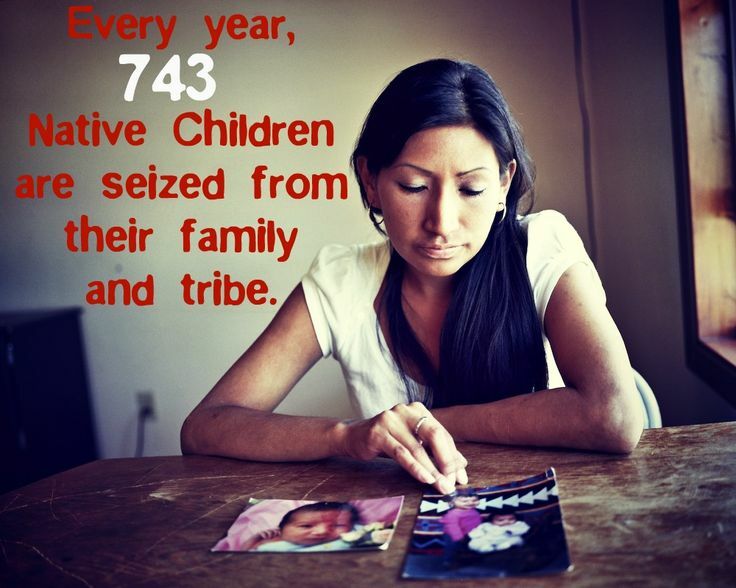 That is no longer acceptable, since ICWA was passed. Do the people who wished to adopt Baby Veronica know this history? If not, they need to read the anthology TWO WORLDS and understand how adoptees feel. Did they ever consider the child's needs above their own? 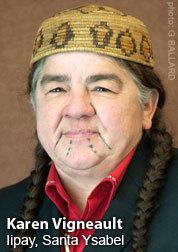 In my research for both books, I found that Department of the Interior Solicitor Hilary C. Tompkins is an adoptee and Navajo. Tompkins is part of this brief. A story about her ran in the Navajo Times a few years ago. Keep good thoughts that this important case respects existing federal law and this daughter remains with her father and in her tribe. It is important. It is necessary.